This wasn’t the blog post I had planned to write, but three emails in a few days have got me thinking. 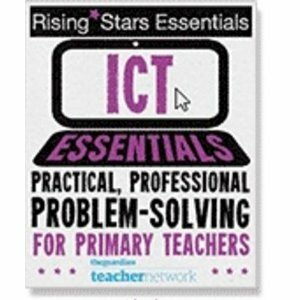 What would you buy for your primary school if you were looking to improve ICT? This is a question I will be asking myself in the coming weeks as I move to a new school. I thought I would break it down into software and hardware. Will it be useful? Who knows. Does it ask more questions than it answers? Definitely. I’m not covering assessment or admin/management software as I have very little experience of that. Maybe you know more? Add a comment below and let me know! The main hardware concerns are obviously the computers and laptops that the children will use. My school currently has a class set of computers and a few small banks of PCs around the school. Over the next month or so, there will be a new server, a new network and a new managed wireless system. Managed wireless is essential for the number of netbooks we are looking to buy. So many schools I go to have been given a shoddy wireless solution and are left frustrated when children need to login one-by-one and wait ten minutes before getting to the desktop, this just isn’t acceptable so a managed wireless is the way forward. I had always thought of netbooks as a ‘poor man’s option’ and that they weren’t up to scratch, but a few discussions with people have changed my mind. The ones we are looking at seem capable of video-editing and animation and anything else we will be throwing at it. All for under £250 🙂 So that’s the main hardware sorted and that’s all fine, but what about the little bits and the peripherals? Bear in mind we have 11 classes. Cameras are a given. Every school needs to have some and I think cheap and cheerful is good. When it comes to using photos online, there’s no point in having a digital SLR or a 10MP camera as you’ll forever be resizing them. Asda do a £25 5MP camera, so that could be an option. One per class? Or a set of 11? Video cameras are also going to be useful. Flip probably wins out due to simplicity, but again, how many do you buy? How do you host your video online? Vimeo has recently been blocked, so we’re stuck with 100mb limit on TeacherTube. Maybe that’ll be enough? I’ve heard a lot about visualisers, they sound great. You can show children’s work on the screen! But surely it’s a webcam on a stick? Maybe I should get some webcams? Do I get 1 visualiser to test it or do I get 1 per class? Will KS1 use them as much as KS2? Maybe KS1 will use it to put minibeasts or leaves under it so they WILL use it more? Easi-Speak microphones are a certainty. They’re so easy to use, just record and plug it in. No faffing with Audacity and converting to MP3, it just does it for you. Quantity again is the issue. Will KS2 use them as much? How about these? I love the sound of them. Small recordable devices that can be stuck to the wall. They could make displays come to life. Imagine walking around a school and being able to press a button and hear a child explain their work. They only record for 30seconds, but that’s fine. Would they get pressed constantly and annoy people? I like the ideaof them though. What about data loggers and control? We’ve gotta do it haven’t we? So what to buy? We used to have some of the FlowGo boxes in my old school along with all of the sensors and bulbs and wires, but we spent about £1,000 and used them once. I would bet they’re still sitting in a cupboard gathering dust. Maybe we should buy it as part of a cluster and share it around? That could go well or badly, who knows! Any suggestions? With a lot of this stuff, how do you manage it? Would you have a box with it all in? Or one camera/microphone/Flip per class? In my old school we issued it all out to classes but it also went with battery chargers, batteries and a card reader. What do you think? I’ve bought some of these things before and had a bit of a say in it. This time around I am looking to do it with more thought and planning. I would be interested to hear any opinions you may have. Do your local CLC loan equipment out? We do ( a bit of a trek to Bradford I know), some stuff you could borrow occasonally instead of buying, such as the dataloggers. As far as cameras nd flips go I’d say one per class but on the understanding that teachers can pool them together when they are needed i the same place. Yes – bang on with all this. Managed wireless seems to be the way forward. Amazing how few schools know about this – most schools I visit struggle with piecemeal solutions – that are very patchy. For control – I do love the Lego Wedo kit – so easy to use – can differentiate and ensure great progression. All teachers can have a go with this. with regards to video cameras, I’m having some probs with the flip cameras and the vle, as they produce large file size. For some reason can’t use any video convertor to re-encode to use on VLE in some schools (something to do with admin rights and installing any video convertor on a network, although may work on a stand alone PC) so if you intend sharing film on your vle, check that you can! As for your regular digital cameras, beware of really cheap cameras, I bought an entry level vivitar once, and in all honesty to say it was a camera was a lie. It couldn’t produce any usable photos, so it’s worth checking out before committing. Managing the cameras is hard work, but to ensure that they don’t get lost, I’d keep them together rather than one per class. Keeping them together allows a class teacher to take a single camera or a few of them for group camera work, whereas if you split them up getting them back together for a teacher who may want to use a few would be problematic (often end up in a draw with no/flat batteries). But they will need managing (number all cameras, sign in and out each numbered camera. Make sure batteries are put back on charge upon return and ensure teacher has taken all images from the cameras before they are returned, as each memory card will need formatting before it goes out again. As a rule I would also set the camera to 3mp rather than the full amount, to save space on the server (soon mounts up). If a group needs higher resolution images, then that can be changed but I’ve never bothered to be honest. Last thing about cameras, is make sure the date and time are set accurately as this will help with the management of photos once on the system. Free photo editing & management software – Picasa from google. Dead easy to use, manages images well, simple but great editing tools and the ability to create video slideshows (HD to youtube quality) and with the photo recognition that really works can be a great way of creating a portfolio of images of an individual almost automatically, something that our early years and KS1 teachers find very useful. With Flips, we’ve been putting the movies through Windows Movie Maker and that seems to work well. Either that or uploading to Vimeo or similar and then embedding into the VLE. Although with a new network, the software and codecs will be installed throughout which should help too! When I first had the chance to play with a visualiser I put it straight back in the box and wondered why we didn’t get webcams. But then I forced my self to get it back out again and now find myself using it everyday. – I can demonstrate drawing skills without blocking the board. I haven’t even experimented with the recording software yet! The aim was to share the visualiser around the department, but as it’s use is always spontaneous, this wasn’t going to be possible – so now fixed in one room (mine!). So maybe I get 3 to start with and see how it goes? Visualisers are brilliant and I cannot do without mine!!! They are brilliant for letting the children view and edit their work on the whiteboard and then, using the camera function, this work is uploaded into smartbook which can later be used as evidence. Just one of the many invaluable uses…. I can’t wait to see schools ditching servers in favour of web based services. Schools should save money on tech support and get better quality of service (in theory). You are on the money about everything else. One suggestion, big keyboards for foundation? I think that they already have some lower-case keyboards in place, but not sure what else. I can obviously improve on things later on, but the more there ready for September, the better! Hi Ian, I’ve had some involvement in all of the things you mention this year (except data loggers). The thing I always think about with hardware is its best to try and link it to the learning that you want to encourage. So if Speaking and Listening in KS 1 is a target then EasiSpeak Mics for there would be good. I think all of those things potentially have value right across the school, as our KS 2 children are really benefiting from using EasiSpeak mics to develop their questioning and interveiw technique at the moment. Totally agree with your thoughts on cameras. As for your comment on visualisers, I think they are more sophisticated that a webcam in a stick, and they need to be suited to focusing in on a document at a decent resolution which I doubt all webcams would be able to do. Again we get a lot of use out of them for totally different things at KS 1 and 2, with KS 1 children enjoying sharing their work on them on the big screen. They also allow quick capture for showcasing work on class blogs and the like. Organisation is a challenge with kit like that. We have tried a few combinations with some kit in a class set loaned out centrally, and some having one per class. One per class allows for spontaneous capture of ideas and children choosing to access, but obviously you can’t get a whole class using certain equipment at the same time. We have been experimenting with dishing equipment out one per class for a set time so that staff can get familiar and enthusiastic about using it, then collecting it back into a class set so that they can get the benefits of using lots at once. It’s too early to say yet, but this should mitigate against things being left gathering dust in a cupboard. Sounds good. Without knowing my new school too well, it is hard to know if there is a need for particular areas such as Speaking and Listening, but I know microphones and cameras will be useful no matter what!